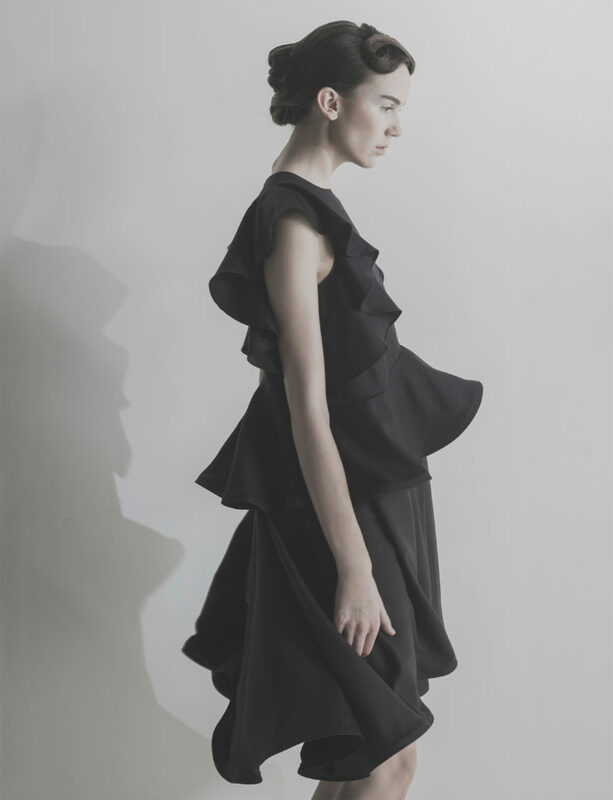 Fashion designer, Peggy Hartanto, moved to Sydney, Australia in 2006, where she took her fashion degree at Raffles College of Design and Commerce. She graduated in 2009 with numerous awards and Best Student Award for Excellence in Fashion Design. She is known for her clean, innovative technique of fabric cutting and construction. In 2011, she established her label, PEGGY HARTANTO, a contemporary high-end ready to wear fashion for women, where she showed her first collection at the Rosemount Australian Fashion Week. This collection is inspired by the spots and twists of orchid flowers and its families, translated into splendering figures and modest details of minimalistic presentation garments. I found a dramatic picture of an orchid flower. A very detailed image of the flower and got hooked up ever since. The dressses are all made using 100% polyester and also by the use of transparent tulle to create illusion panels. How would you describe the “Peggy Hartanto” style and consistency? Daring in its simplicity but bold in character. One day I wanted to have a huge fashion show during Fashion Week in fashion capitals, and seeing women wearing PEGGY HARTANTO from countries around the world.